Diabetes is one of the most prevalent diseases in America, and the numbers are growing all the time. Over 10% of the population has some form of diabetes, either type I or type II. In some cases, diabetes is a disease that can be prevented or reversed through lifestyle choices, but this doesn’t hold true in all cases. It is a disease that everyone should be educated on so they can avoid becoming one of the many millions, as just about everyone is susceptible to developing diabetes. The first thing you need to know is the function of the pancreas. The pancreas is an organ that, among other metabolic regulatory functions, produces insulin. Specifically, the beta cells are the ones that produce the insulin. Insulin is a processing enzyme. The energy from the food that you eat is transferred into your blood from your digestive system, and your circulatory system brings that blood all around the body. That insulin allows the energy, specifically glucose, or sugar, to pass between the blood cells and your body’s other cells, giving the energy that they need to work properly. Insulin basically functions as the key that opens the door to the cell. Therefore, without insulin, sugar cannot pass into the cells that need it, and instead get stopped up in your circulatory system, leading to very dangerous amounts of glucose in the blood. Both forms of diabetes have this potentially deadly consequence. So what exactly is the difference between each type of diabetes? Type I diabetes is characterized by a lack of beta cells in the pancreas. No one is entirely sure why it happens, and there are plenty of different theories. There are, in fact, likely different causes. Some people might have a disposition for diabetes in their genes, get it from lack of vitamin D, or simply get it from a really nasty virus. I, for instance, had a bad cold for about three weeks before I got diagnosed with type I. The virus infected my beta cells, and somehow, doctors still aren’t sure why, my body’s natural defense, the immune system, specifically my white blood cells, started treating those beta cells as foreign to my body. Whatever the cause, that’s what happens: beta cells are targeted for destruction. It is systematic, and it takes a while, creating the “honeymoon period” of a year or two when a new diabetic still has partial insulin production, but inevitably, the white blood cells will succeed in their mission. All the beta cells are gone, and so far, there’s nothing that can be done to bring them back. New possibilities are always on the horizon, though, as medical technology pushes forward. Type I diabetes was once known as juvenile diabetes, because most patients do develop it in their youth. The name has fallen out of favor, though, since adults can and do develop type I diabetes late in life. If type I diabetes can be roughly likened to the police breaking into a factory and systematically stealing every piece of one specific type of equipment, then type II diabetes is when that equipment simply gets run down. This is the much more common form of diabetes, affecting over 30 million people in America. A counterpart to type I, type II also used to be known as “adult onset diabetes”. For similar reasons, the name changed, since more and more children are developing type II diabetes. Type II diabetes is much less severe and more manageable than type I, since there still are beta cells producing insulin. Either the beta cells aren’t producing enough insulin to be fully effective, or the body starts to develop insulin resistance. Both of those are linked directly to obesity, which causes insulin resistance and is why the insulin can’t cover all of the body’s needs. When you’re insulin resistant, your pancreas needs to work overtime to still fall short, leading to unhealthy high blood sugar levels. 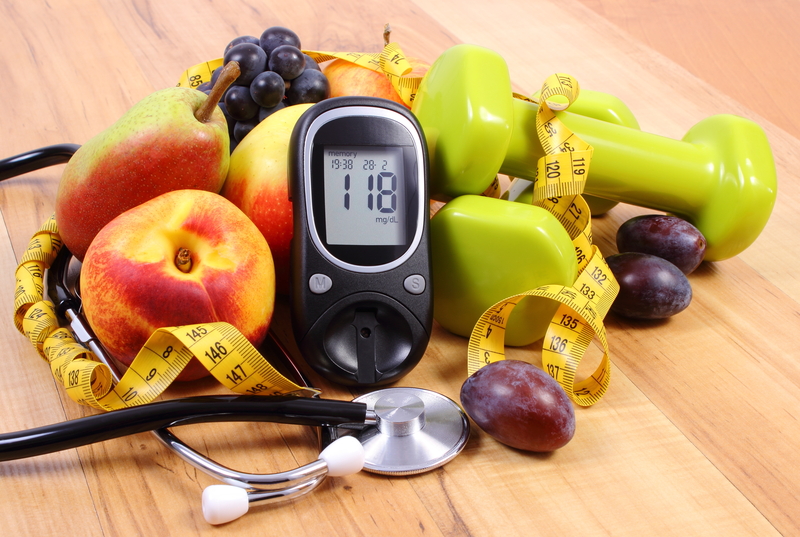 Despite having completely different causes, the dangers posed by both types of diabetes are quite similar. What it really comes down to is, it is extremely unhealthy to have a whole lot of sugar backed up in your blood long term. It restricts blood flow, causing parts of your body to not get enough sustenance. Eye problems are common with diabetics, as is gum disease. In particularly bad cases, a patient may need to have one or both feet amputated, as the lack of blood to them over the years has essentially killed them. Managed poorly, diabetes is essentially a death sentence, but it doesn’t need to be that way. Type I diabetes is sometimes known as insulin dependent diabetes. 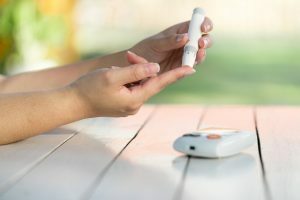 Without an internal source of insulin at all, type I diabetics need to inject a precisely calculated amount of insulin into themselves in order to compensate for every meal that they eat. Sometimes this is delivered through an insulin pump, a device that’s worn on the outside of the body that can pump insulin directly into you, and sometimes it’s just injected, using a pen cartridge or a good old fashioned syringe. Type II, or non-insulin dependent, only uses external insulin in far gone cases. Most often, the treatment for type II will involve exercise and more nutritious eating. Not only does this reduce the obesity of the patient and make them safer long term, it also is the most effective treatment for less advanced type II diabetics. Unfortunately, if it is not mitigated, type II diabetes tends to progress, which might mean supplementary pills or insulin injections. Both types of diabetics should be testing their blood sugar often by using a blood sugar meter, a device which can quickly determine the patient’s blood sure from a single finger prick. For type I diabetics, it is particularly crucial to test your blood sugar, because having it too high isn’t the only danger. 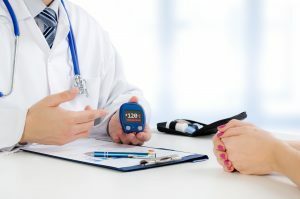 If a type I diabetic injects too much insulin, then their blood sugar go low, which is much more of a short term, immediate problem than high sugars. High sugar will take your leg in thirty years; low sugars can cause you to pass out or even die now. Unfortunately, type I diabetes can’t really be avoided. Without knowing what causes it, there’s no way to know how to prevent it. But type II, the much more common one, can be avoided simply be eating right, getting plenty of exercise, and maintaining your weight.